Lab and POD templates are provided to help lab owners document capabilities, configurations and network topologies. 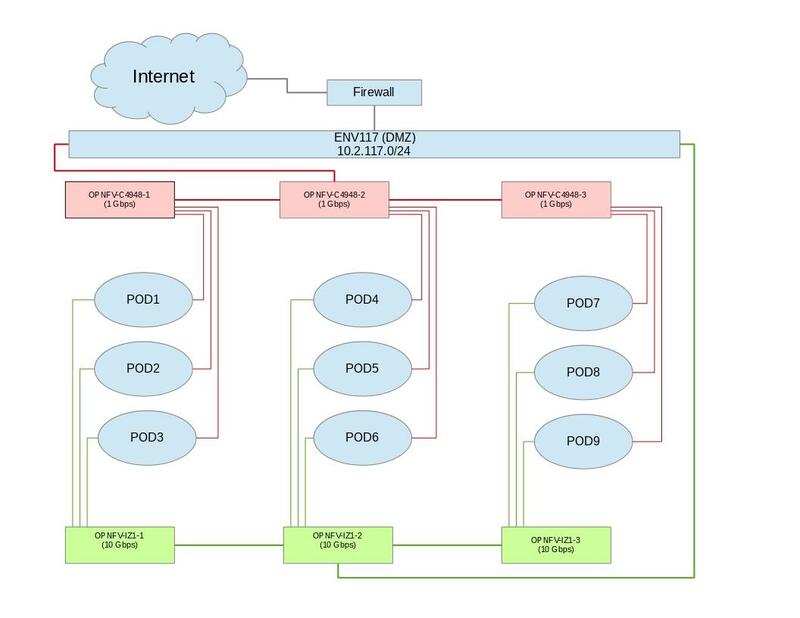 Compute, network and storage specifications with network topology details are required to help developers use lab resources efficiently while minimizing support needs. This also greatly assists with troubleshoting. It is the responsibility of the lab owner to keep individual lab documents updated and determine appropriate level of detail that is exposed publicly through the Wiki or maintained in a secure Pharos repo with controlled access. The Common Inventory File provides a template for machine reabable input into every installer. For convenience the YAML file template currently resides in the Genesis Project repo. Refer to the following patch for further infomation https://gerrit.opnfv.org/gerrit/#/c/4079.